The Shabu Shabu experience doesn’t cause me to go bonkers until the next time I can have it again, but I can see why people like this a lot. 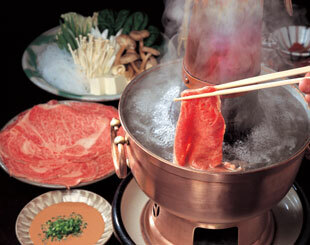 A Mongolian-influenced Japanese meat and veggie fondue that rubbed off on Korea. I also remember having this in Sincheng, a small town in Taiwan, just east of Taroko Gorge. Taiwan, like Korea, is another country that Japan left behind a lot of their culture to later be absorbed into their mainstream cuisine (Don’t even get me started on how kickass the Japanese-style onsens are in the hills overlooking Taipei). Anyways, the Shabu Shabu experience beats the hell out of repeatedly eating bulgogi, which is the point of this series.